www.mexicanlawblog.com is a tool for developing business in Mexico. This is why, I added a section with relevant events that occur in or around the business in Mexico. If you want to list your event or include an interesting one, please contact me. 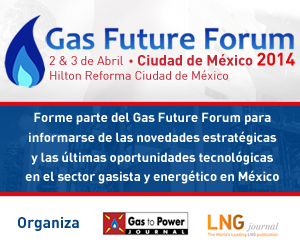 Join the Gas Future Forum for strategic updates and technological opportunities in the Mexican gas and energy sector. The Gas Future Forum is a 2 day strategic and technical conference aimed to cover the recent legislative, geopolitical and strategic updates in the Mexican gas energy sector. As well as the technical and innovation aspects in the Gas sector, focusing on the operational efficiency and flexibility of gas power plants.